First broadcast on Tuesday 27 August 2013 this is a remarkably moving and honest interview with the former Bishop of Edinburgh, Richard Holloway. I’ve always loved +Richard. As my bishop I found him compassionate, loving, and intellectually challenging: he always encouraged me to keep searching for the truth, to keep asking questions. Ever wondered why there’s so much debt? I love this video—10 year old Holly explains where debt and money come from. Please watch the video, I’d love to know your thoughts. This is something that I’ve been getting more and more concerned about over the last couple of years: where does our money come from, why is there so much debt, why do prices just keep going up and up and up? I can’t remember where I first came across the Positive Money campaign, but over the next month or two I’m going to take a closer look at what they’ve written and published. What I’ve read so far sounds promising. Posted on Tuesday 10 September 2013 Thursday 14 December 2017 Categories GeneralTags economy, finance, money, positive moneyLeave a comment on Ever wondered why there’s so much debt? I love this inspirational Spanish advert from Ikea, which I spotted on the Creative Bloq website. It ends with the Spanish phrase ‘Empieza algo nuevo’: start something new. You can’t both be the default browser! Wait a minute! You can’t both be the default web browser! I just spotted this strange anomaly on my PC at work. 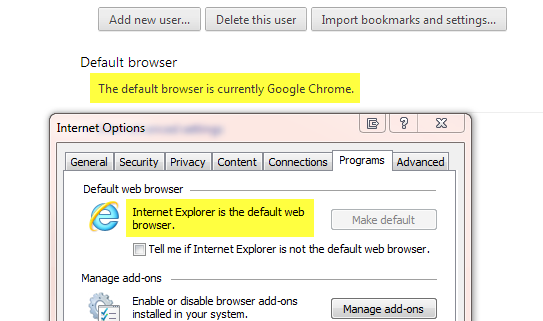 Both Google Chrome and Internet Explorer 10 are claiming to be the default web browser. A quick visit to the “Default Programs” applet in the Control Panel and balance has now been restored. Posted on Friday 6 September 2013 Thursday 14 December 2017 Categories ComputerTags browser, Chrome, default, IELeave a comment on You can’t both be the default browser! Is it just me or are dog collars getting longer these days? Two new clergy shirt collars (top) compared with an older, and significantly shorter, one. On Sunday 18 August I ordered a new clerical shirt online from J Wippell and Co Ltd. My current three shirts are getting a bit faded and past their best so it was time to order a new one. A black one, of course (is there any other colour, other than for a bishop? ), in the formal ‘tonsure’ style. Thank you for your order for a shirt. This item is not in stock and is therefore being specially made, we anticipate dispatch to be around the 2nd September 2013. We apologize for the delay and we will email you when we dispatch your order. I actually ordered the shirt primarily for an institution in St Andrews on Wednesday 4 September, as the dog collars on my current tonsure shirts have all but one disintegrated! Do you think that the shirt may have arrived by then? I’m happy to pay extra for faster delivery if so. And as a company that understands exemplary customer service I was assured by a return email that schedule had been revised and the shirt would now leave the factory on Thursday 29 August. It didn’t. It arrived at my house on Thursday 29 August. What tremendous service. 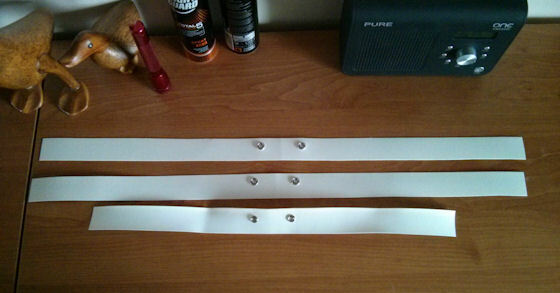 But just take a look at how long the new ‘dog’ collars are! Posted on Sunday 1 September 2013 Thursday 14 December 2017 Categories God ProjectTags #pisky, clergy, customer service, dog collar, excellent, WippellLeave a comment on Is it just me or are dog collars getting longer these days?